Looking for a farm or ranch near you? Find it on our Eatwild New Hampshire Map. Find local markets, restaurants and stores that feature grass-fed products on our New Hampshire Beyond the Farm page. Arbutus Hill Farm offers naturally raised meats and organic vegetables. It is 50 acres of fields and forest, a certified Tree Farm. It is a small operation, just me. I have a Masters in Environmental Resource Management so my respect in caring for my land is a major priority. It is my home and sanctuary. I raise grass-fed beef, and lamb as well as pork. The pigs are fed grain, are on pasture, receive a steady flow of weeds from the garden and cracked corn. I sell meat by the retail cut or families can buy whole or half animals. I began farming in 1994 at the ripe age of 43 wishing to raise my own food. I have become better at farming over the years and am self-sustaining. Arbutus Hill Farm meats & veggies are carried by several local stores, are featured in two local farmers markets and enjoy a solid repeat customer base. I sell meat and garlic year round and have added a greenhouse hoping to extend my growing season. It is a blessing, but also a major learning curve. So this spring I hope to have an early crop of lettuce, spinach, kale. Arbutus Hill Farm, 150 Arbutus Hill Road, PO Box 1333, Meredith NH 03253. (508) 681-9921. E-mail: jennifer@ladyfarmer.com or jenoreo3181@gmail.com. Website: www.ladyfarmer.com. Benedikt Dairy is a 100% grass-fed certified organic dairy in Goffstown, NH. Our products are certified organic by the New Hampshire Department of Agriculture, Markets and Food. Our purebred Jersey cows live on pasture day and night through the growing season where they eat grasses and herbs. In the winter they are fed dried and fermented grasses, clover and alfalfa. They never eat grain or other energy concentrates. Rotational grazing improves the biological health of the land and provides the cows with optimal nutrition, so they can produce the most nutritious milk for you. DAIRY - All of our dairy products are 100% grass-fed and certified organic. RAW MILK. Our sweet and creamy cream-top milk is a weekly staple among our CSA members. Unpasteurized. RAW CREAM. Made minutes after milking, our cream is exceptionally thick, perfect for making butter and for whipping. GREEK YOGURT. Our Greek yogurt is the perfect medium for the creamiest tzatziki and the most velvety parfait. Made from skimmed milk and strained to its luscious consistency. BENEDIKT BUTTER. Spreadable right from the fridge, our Benedikt Butter is actually cream with live active cultures, giving it a slightly tart, sweet buttery flavor. It lies somewhere between Devonshire cream and hand-churned butter. CHEESES. An assortment of aged cheeses made from our milk by Benjamin Meier. Pasture raised, certified organic soy-free eggs from our flock of rotationally pastured (in season) hens. PASTURED PORK. Raised to organic standards and rotationally grazed, our seasonal herd of Tamworths are fed certified organic soy-free feed and skim milk in addition to the perennial pasture they graze. PASTURED BEEF. Our full-flavored certified organic 100% grass-fed ground beef makes burgers that are both lean and unbelievably juicy. Different cuts are available as well. Our farm stand is open to the public 7am to 7pm daily. You can also find Benedikt Dairy Products at the following retailers: A Market Natural Foods, Manchester, NH; Concord Food Co-op, Concord, NH; Manchester Food Co-op, Bedford, NH; Monadnock Food Co-op, Keene, NH; Nature's Green Grocer, Peterborough, NH; Normanton Farm, Litchfield, NH; and Tuckaway Farm, Lee, NH. Benedikt Dairy, Max and Melissa Benedikt, 97 Shirley Hill Road, Goffstown, NH 03045. (603) 801-6839. Brookfield Farm. The Gowdy family at Brookfield Farm has been raising Angus cross cattle since 1994. Our beef cattle are finished on our pastures, dry hay, and the balage that we round bale ourselves. We are certified organic, and have been since 2001. We are convinced that our cattle are happier and healthier than ever before. We bought our first cow-calf pairs on our honeymoon trip along the New Hampshire Sea Coast in 1992, settling first near Walpole Massachusetts, and then moving to Walpole New Hampshire. Starting with five angus cows and their heifers we grew our beef herd to twenty five brood cows. In the last few years we have made some changes, diversified; we still have about five beef cows, but are milking twenty Normandy Cross cows, raise some lamb on pasture, and have a herd of Boer Goats. We sell our grass fed meats (100% grass fed beef, lamb, meadow veal, and boer goat meat) by the retail cut, quarter or side. You can purchase one nice steak or fifty pounds of burger, or other types and cuts depending on availability. Come visit the farm, or you can purchase our products at the Walpole Farmers Market, Fridays from May – October on the Walpole, NH Common. Please give us a call, leave us a message, or send an email. We look forward to hearing from you. Brookfield Farm, Holly and Christian Gowdy, 460 Old Drewsville Road, Walpole NH 03608. (603) 445-5104. Brookford Farm is a first-generation farm occupying 600 acres in Canterbury NH along the Merrimack River. We believe in diversified, NON-GMO, organic, and sustainable farming. We pasture-raise our animals to give them the most healthy, natural lives possible. We believe these methods will make our earth a better place for our children, and have a positive effect on the health and well-being of those who eat our food. Farmstead Cheeses: Camembert, Brie, Feta, Blue, Raw Cheddar, Gouda, Queso Fresco, etc. How can you get our products? Our farm stand is open to the public 7am to 7pm daily. The best way to receive our products is to sign up for a CSA share through the farm. You can also find us at many farmers markets and retail locations including (but not limited to): The Seacoast Eat Local Farmers Market, Rollinsford or Exeter NH; The Salem NH Farmers Market; The Somerville Winter Farmers Market, Somerville MA; Union Square Farmers Market, Somerville MA; A Market Natural Foods, Manchester, NH; Concord Food Co-op, Concord, NH; Monadnock Food Co-op, Keene, NH; Nature's Green Grocer, Peterborough, NH; Eastmans Corner, Kensington NH; Simply Wholesome, Windham NH; Lull Farm, Hollis NH; Portsmouth Health Foods, Portsmouth NH. Visit our website, and follow us on Facebook and Instagram for more info! Brookford Farm, 250 West Road, Canterbury NH 03224. (603) 742-4084. E-mail: brookfordfarm.sales@gmail.com; brookfordfarm.csa@gmail.com. Website: http://brookfordfarm.com. Cascade Brook Farm raises high-quality, all natural 100% grass fed black Angus beef on our 180-acre family farm in the beautiful Lake Sunapee/Dartmouth Region of New Hampshire. We sell shares (whole, sides, quarters) as well as cuts (steaks, ground beef, brisket, roasts) to customers throughout New England (home delivery is free for shares). We settled, over a decade, on a Black Angus herd based on their mothering skills, and our ability to determine the genetic profile we want to create marbled, tender, delicious beef—all on grass! Our herd is 100% grass-fed. Our goal is to help our customers through the food system, provide unparalleled customer service, and deliver premium wholesome grass-fed beef that our customers can eat with confidence. We are all natural. We do not use antibiotics, or any GMO, and our mission is to treat our animals humanely, with love and respect. That is the only way we know how to do it. We welcome visitors to the farm where we sell cuts by appointment. Our online store is open 24/7 and features all of our products available in your area, or you can contact Ed Canane at ed@cascadebrookfarm.com or (603) 496-7470. Cascade Brook Farm, Ed Canane, 96 Baker Road, North Sutton, NH 03260. (603) 496-7470. Clark Organic Farm is located in Carlisle, Massachusetts (near Concord) west of Boston, and are certified organic by Baystate Organic Certifiers. Andrew studied soil science and his wife is a holistic nutritionist. We believe in pasture-based livestock farming and organic methods for vegetables, and also being important contributors to our community. We run an organic produce CSA. We raise chickens on pasture in mobile houses for eggs, and they are supplemented with a soy-free grain. Our heritage breed pigs run through the woods and are also given some supplemental, soy-free grain. Our sheep and goats graze on grass and are rotated often. We offer our meat through a CSA program. More information can be found on our website. We also run education programs and special events, and sell our eggs and produce to restaurants and retail locations. Sorry, we do not ship. Non-members are welcome to shop at our farm during CSA hours. Please visit our website for current hours. * We do give our sheep and goats a HANDFUL of organic, soy-free grain just to coax them out to pasture each day. If we didn’t do this, they would run all over town. Our farm is right in the middle of town, and sometimes the animals get loose and stop traffic. This is purely a functional strategy that is necessary because of our location and the difficulties in hearing our animals. Clark Organic Farm, Andrew Rodgers, Carlisle, Massachusetts 01741. Heartstone Farm raises high-quality, all-natural 100% grass fed beef on our 300-acre family farm in the heart of Maine. We sell shares (sides, quarter shares) as well as cuts (steaks, ground beef, brisket, roasts) to customers throughout New England (home delivery is free). We’ve found three breeds that do well for us: Angus, Hereford, and Devon. They do well on our grass pastures, resulting in tender, marbled, delicious beef! Our goal is to provide great meat and great customer service. We’re proud of the more than 50 5-star reviews we’ve received on Google and Facebook. We do not use antibiotics or GMO feed, and our mission is to treat our animals humanely, with respect and love. We welcome visitors to the farm. We have a farm store where we sell cuts. Our online store is open 24/7 and features all of our products, or you can contact Dan Kaplan (aka Farmer Dan) at dan@heartstonefarm.me or (207) 424-0063. Heartstone Farm, Dan Kaplan, 128 Paine Road, Charleston, ME 04422. (207) 424-0063. Hettie Belle Farm is a pasture-based family farm raising 100% grass-fed beef, 100% grass-fed lamb and organically-fed pork, chickens, ducks and turkeys. Our product is available through our meat CSA with distribution sites in Keene, NH, Northampton/Florence, MA and Brattleboro, VT and here on the farm in Warwick, MA. Meat and poultry with a guarantee from our family to yours! 6-9 pounds organically fed duck (1 whole duck). The open land we steward is central to our lives and business. Our cows and sheep are 100% grass-fed. They have as much of mama’a milk as they want, are moved through our pastures daily May-November, and fed local hay throughout the winter. Our pigs are pastured in a huge forested area where they root day and night. Our chickens, ducks and turkeys are entirely free-range. Our poultry and pigs are fed certified organic grain to complement the generous pasture space they are provided. All of our animals are 100% antibiotic and hormone free. These are very content, extremely healthy animals that truly thrive in their natural environment and are always handled humanely. We believe meat raised in this way, naturally tastes better, and provides healthy essential fatty acids and an important guarantee to customers. Our vision is grounded in a strong belief that livestock can live healthy, natural lives and families can maintain a humble life farming with the rhythms of the seasons. We believe that to really change the food system, we need small farms in every community raising crops and livestock with intention, care for the earth, and a cultural sensitivity that reflects local values. Come join us by becoming a member! Hettie Belle Farm, Jennifer Core and Olivier Flagollet, 28 WInchester Road, Warwick MA 01378. (978) 544-6241. Kalon Farm, located just a few miles south of the New Hampshire state line, is an integrated small farm that raises and sells grass fed beef, lamb and pork. We have cage-free fresh eggs, seasonal garden vegetables and berries. We use all natural, antibiotic-free feed for chickens and pigs. Our cattle and sheep are grass based and fed hay/grass (No Grain). We avoid the use of any type of insecticide, herbicide or fungicide on our gardens and pastures. We rely on crop rotation, on-site composting, cover cropping and rotational grazing to build soil health. We do not use any growth hormones or antibiotics. Heritage breed cattle and sheep have a natural resistance to many of the problems large feed lot animals have. Salt, minerals, and kelp supplements are provided free choice. We mainly sell our items here at the farm. Our new farm store is open weekends Noon – 4 during the week by appointment. We do take deposits and advanced orders. Please call or send us an email to join our email list. Many items do sell out fast so first come first serve unless you pre-order. Kalon Farm, Keith P Kopley, 28 Corey Hill Road, Ashburnham, MA 01430. (978) 878-3239. New England Heritage Farm is a small family farm specializing in providing meat, milk and eggs. We have specifically selected all of our breeds of animals based on the superior flavor of the food they provide. We are committed to organic practices, regenerative agriculture and to exceed the National Organic Program's rules for organic producers. Eggs and meat from our free range chickens who are fed veggie scraps and certified organic grain. Pork from our Mangalitsa pigs aka "wooly pigs." These pigs are truly the kobe beef of pork! Featured on Iron Chef America and gaining acclaim with chefs across the USA. An old world breed of pig with excellent flavor and intramuscular marbling. Fed certified organic grain and veggie scraps from our garden. Sold by the cut or halves. Beef from our 100% grass fed and finished Red Devon cattle. Our herd is from the Rotokawa lines and are the premiere genetics for grass fed beef in America. Sold by the cut or halves. Raw milk from our 100% grass fed Normande cows. Milk from Normande cows is highly sought after by cheesemakers due to the high casein protein levels in the milk. Some of the best cheeses in France are made from Normande milk. Sold by the 1/2 gallon. Chickens and turkeys from our farm are raised on certified organic grain and veggie scraps from our garden. We raise 3 different breeds of chicken for meat to fit all of our customers needs. We raise turkeys seasonally. Lamb from our 100% grassfed Soay Sheep. Our Soay are purebred and are registered with the Rare Breed Survival Trust (RBST). They are an endangered breed that is close to feral sheep. The meat is gamier than most lamb. Available in limited quantities. New England Heritage Farm,Dan Fournier, 476 Main Street Sandown NH 03873. (603) 548-0615. Paradise Farm is a family-owned farm in Lyndeborough, NH, a small town located next door to Milford in southern NH. Adrienne and Wayne Colsia bought 160 acres of rolling hills and beautiful views in 2002 and proceeded to grow a multi-faceted farm. All our animals are pasture raised and humanely treated using sustainable and holistic methods. We rotationally graze 100% grass-fed Scottish Highland beef, a “slow grow breed” which enhances the taste; heritage breed Gloucestershire Old Spots pigs; Nubian goats; chickens; turkeys and Romney sheep. We sell beef, pork, lamb, roaster chickens, and turkeys. We also sell our own raw honey, free-range eggs, and Nubian goat milk—the highest quality goat milk there is and it has no gamey taste. Reap the major health benefits of goat milk and enjoy the taste. Seasonally we have PYO blueberries, raspberries, peaches, and apples. We also grow table grapes, pears, plums, and tart cooking cherries that we sell from our farm stand and at farmers markets. Meats are processed by a USDA butcher in NH and vacuum-sealed for added freshness. Option #1: Get a 10% discount on bulk purchases of meats and poultry if you buy $500 worth in any combination at one time. Must be paid in cash. Option #2: Beef sides for $6.00/lb hanging weight; includes all processing and vacuum-sealed packaging for longer freezer shelf life. Reservation and deposit required. We encourage people to visit our farm and farm store. We have no set hours, so please call ahead so we know you are coming. Our farm offers expansive mountain and valley views and the opportunity for kids to interact with our many animals. Our two miniature ponies, Lilly and Honey, will greet you when you park. They love carrots! You can also purchase our products at the Milford Farmers Market, which runs almost year round. For more information, including prices, see our website. Paradise Farm, Wayne and Adrienne Colsia, 468 Center Road, Lyndeborough NH 03082. (603) 345-0860. Patridge Farm is a small, third-generation farm offering pasture-raised pork, and certified organic chicken, turkey, goose and eggs (chicken, duck and "seasonal goose"). We also sell piglets and Pilgrim goslings. Wedding or special celebration? Let us raise your chicken; perfect for small or large event of any kind (must book in advance). Pasture-raised Freedom Ranger and Cornish Rock broilers sold whole or "cut-up" to make your life easier. Bone-in breasts, "split" chickens--many options available. Pre-order six chickens to receive a discount. Poultry brochures available, please e-mail or call to discuss. Our wholesome poultry has wonderful flavor and texture. Holiday turkeys and heritage goose are available from November on, with bone-less breasts and legs available into the New Year while supplies last. Food lovers are discovering that goose fat has unsurpassed taste and is incredibly versatile in the kitchen. It is high in "heart healthy" mono- and poly-unsaturated fats and rich in oleic acid C18:1. Humane poultry processing takes place off-farm by appointment. Berkshire/Tamworth pork sold by the cut (fresh, smoked, and link sausage). Quarter, half and whole hogs available by pre-order. Our meat and bacon has rich, genuine flavor, very distinct and delicious. All our animals are raised and rotated with care on pasture--no cages--and fed organic grain along with organic fruits and veggies grown on our farm. Our hay fields and poultry will be certified organic later this year. Unlike "naturally grown" animals, our animals receive organic grain that contains no GMOs, herbicides or pesticides. Meat and eggs sold on farm by appointment. Visits encouraged. We are a mere 2 1/2 hours from Boston and 35 minutes from Hanover and Franconia, NH. Reasonable delivery fees available. May – October: Saturdays, Wentworth Greenhouse Summer Market in Rollinsford, NH; Wednesdays, on "The Green" in Hanover, NH; Thursdays, at Colburn Park in Lebanon, NH. November – April: Saturdays, Seacoast Eat Local (NH) Winter Market. Patridge Farm, Mary and Bruce Jones, 583 County Road, North Haverhill, NH 03774. (603) 989-5589 or (603) 918-1451. Pinnacle Farm is where we raise our purebred Berkshire pigs. Berkshire is a heritage breed that is widely acknowledged to produce the best tasting pork. Hog Heaven! During their time with us our pigs are out on pasture and free to express their natural piggy behaviors: eating, rooting, being sociable…. We supplement their pasture diet with the highest quality grains for good health. Berkshire Pork: We sell by the whole or half. Limited Supply: Call or write for current availability or to be placed on our waiting list. Location: We are located 2 miles off of I 93 in New Hampshire’s Lakes Region, just about 90 minutes north of Boston. Website: Our website has current pricing, reviews of Berkshire pork, history of the breed, directions, and more. Pinnacle Farm, Bill and Pat Starck, 53 Ridge Road, New Hampton NH 03256. (603) 744-5609. Rocky Meadow Farm is the home of a small herd of solid color Galloways. We provide grass fed, grass-finished beef raised in an animal friendly environment, free of hormones, artificial food additives, animal byproducts, or unnecessary antibiotics. Our animals graze exclusively on our own pastures, which we have planted ourselves with a seed mixture to provide optimal nutrition. The meat is processed at an USDA-inspected plant, and is sold by whole carcass or sides, where customers can specify preferred meat cut selection or by smaller mixed boxes of various cuts. Rocky Meadow Farm, Wayne R. LeClair, 201 Udall Road, Francestown NH 03043. (603) 547-6464. Schoolhouse Farm is a small pasture-based farm located in Tamworth, New Hampshire. We manage a flock of grass-fed registered Icelandic sheep that are bred for sale as either breeding stock or for meat. Our animals rotationally graze on fertile pasture from early spring through late fall. In winter months the flock is fed mixed grass, alfalfa and legume hay from our own hayfields. We do not feed any hay or forage that we didn't grow and harvest ourselves. We are very attentive to our animals and our fields and are consistently striving to improve the quality of both. As Gene Logsdon writes in All Flesh is Grass, the quality of our meat is only as good as the quality of our pastures. We only apply mineral and soil amendments that are approved for organic certification when necessary and depend primarily upon our own bulk compost to enrich the soil and restore vital nutrients. We regularly monitor lab results of soil samples and hay/forage samples to determine nutrient composition and assist us in determining which fields are in need of supplementation. A no-till conservation seeder is used to overseed our fields with a wide variety of grasses, legumes, brassica and forbs. Our goal is to provide a very diversified diet of plants that primitive ruminants would have grazed in the wild. We never use any chemical fertilizers, pesticides, herbicides or preservatives on our fields or dry forage. The sheep are provided with free choice minerals and kelp mix throughout the year, and newborn lambs are given a booster of selenium and vitamin E shortly after birth. We never use any growth hormones, unnecessary antibiotics or other invasive treatments to our flock. Instead, clean water, fresh air and nutritious pastures are all we really need to support healthy contented animals. Lamb is available in frozen cryovac packages. We sell only whole carcass quality, which usually averages between 40 and 50 pounds of packaged lamb. Custom cut sheets are available, or we can suggest popular choices. Please visit our website for more information about our meat sales, hay, compost, or other products. Thank you. Norman and Wendy. Schoolhouse Farm, Norman Cloutier, 1870 Cleveland Hill Road, Tamworth NH 03886. Shire Beef LLC: Beef You Can Feel Good About. We manage our cattle in an innovative way that rebuilds and maintains soil health and biological activity, sequestering more carbon than we produce. In exchange for the soil's work, we receive fertile pasture on which to raise our herd, in turn giving our beef the unique and intense flavor you won't find anywhere else. 100% grass fed and grass finished in Vershire, Vermont. Taste the difference of place. Shire Beef LLC, Niko Horster, 646 Reed Road, Vershire, VT 05079. 802-291-0808. Steve Normanton: I am originally from South Africa, where I worked in the livestock trade the conventional, agribusiness way. Here in New England, I have raised grass-fed beef for over ten years, with a focus on sustainability and holistic principles. I now raise pastured pork, pastured chicken, pastured eggs, and 100% grass-fed beef on 65 acres on the banks of the Merrimack River. My pastures are certified organic by the State of New Hampshire. My cattle graze on pasture throughout the growing season, and I feed them certified organic hay in the winter. They are never fed corn or other grain, even for “handling” purposes. I sell beef in bulk and by the cut. I harvest my cattle when they have reached their full potential of quality, which means the largest quantities are available in the fall. Therefore, I recommend pre-ordering for fall delivery. All my beef is USDA-inspected and flash-frozen. My pigs live and forage outdoors, and I supplement their diet with organic formulated pig grain. My pork is harvested in the fall, and is available in bulk and by the cut as long as supplies last. All my pork is USDA-inspected and flash-frozen. I raise my meat chickens outdoors on pasture in a day-range system, which allows them to forage for bugs and living plants. I supplement their diet with organic formulated chicken grain. I process the birds on-farm (exempt from USDA inspection) June through October. I sell fresh or frozen whole chickens (i.e. plucked and cleaned but not cut up into parts). My laying hens, like the meat chickens, forage outdoors on pasture in the growing season, and also get organic formulated layer grain. Eggs are available year-round. Please visit my web site for current pricing, ordering information, and more details about my farming practices. Steve Normanton, 226 Charles Bancroft Highway, Litchfield NH 03052. (603) 320-1169. The 1780 Farm CSA, located in Chesterfield, New Hampshire, is a CSA (Community Supported Agriculture) and proudly grows vegetables, grass fed beef, pork, chickens and eggs using sustainable farming practices. We grow only what can be sustained within our 35 acres. Our animals feed naturally without hormones or medications. We have u-pick blueberries and will provide you with a picnic basket (with a day's notice) so you can take a nature hike in our forest. Overnights for couples arranged in advance. This land was originally farmed beginning in 1780 by John Darling and his children. As the children grew and married, John gave them land to homestead. The land was purchased by The Historic Pine Grove Springs Hotel on Lake Spofford. During the late 1800s through the beginning of the twentieth century, it provided the vegetables, beef and lamb required for what was a famous and successful summer vacation destination for city folks up and down the East Coast, from New York and Boston. So, bring the children to visit with the animals and pick some blueberries or take a hike down to see the beaver pond. We would love to have you. The 1780 Farm, LLC., Jeanny and Richard Aldrich, 89 Winchester Road, Chesterfield NH 03443. (603) 762-7095. Three J Farms is located at the base of Ragged Mountain in Danbury NH. We raise grass grazed beef on our 500 acres of meadow, pasture, and woods. The Deuink family has been farming for six generations originally in western New York and since 1998 in the Lakes Region of New Hampshire. Our cattle are grazed on grass and fed hay, with no growth hormones or antibiotics added. Our animals are never crowded into feed lots, and spend their life grazing lush green pastures as cattle are meant to do. The cattle at Three J Farms are 100% grass-fed, no corn or grain is ever fed to them. Three J Farms, Jeff Deuink, 234 Eastern District Road, PO Box 151, Danbury NH 03230. (603) 768-5631. Walpole Valley Farms is a pasture-based, multi-generational family farm nestled in the fertile Connecticut River Valley of southwest New Hampshire. We raise 100% grass-fed and finished beef and lamb, pasture-raised chickens, heritage turkeys, pigs, eggs, cashmere goats and heirloom vegetables. We also have a bed & breakfast, (The Inn at Valley Farms), where we welcome families to stay and learn about farming. We use holistic, sustainable farming practices. Our animals are management intensively grazed, meaning they are moved daily to new paddocks with long rest periods for the land. Cattle and sheep only consume grass, hay and minerals that we provide, nothing else. In addition to pasture, we feed our poultry and pigs non-GMO grain from a local family farm. All our products are sold year-round directly to customers at our farm store Saturdays 10:00am-3:00pm and by appointment. We also have multiple harvest dates when you can pick up fresh pasture-raised chickens and turkeys on the farm. We welcome you to come and tour the farm at one of our regularly scheduled farm tours. We love to talk about food, farming, and strengthening our local food economy. See you soon! Walpole Valley Farms, Chris and Caitlin Caserta, 663 Wentworth Road, Walpole NH 03608. (603) 756-2805. White Gates Farm is a small and progressive family farm in Tamworth. We raise Blonde D' Acquitaine beef cattle, broiler chickens, and Berkshire pigs on our pastures and woods. We have recently become certified organic and use organic practices for our meats and also for our vegetables. Our pigs go to market anywhere from late summer to Mid-October. We sell by the half or whole pig or cow, as well as individual cuts. All of our pork and beef is USDA inspected, and packaged flash-frozen in cryovac bags with our labels. We sell our meats in bulk and by the package. Our broiler chickens are humanely processed here on the farm, and can be purchased fresh on processing days (usually 3 days per summer season) or frozen throughout the year or while supplies last. We sell locally on the farm, at the Tamworth Farmer's Market, to restaurants in the Mount Washington Valley and by mail order to areas beyond our general reach. Our philosophy is to give our animals great lives so that they in turn will provide the best nutrition. We start to take orders for our half and whole pigs in Mid-January. We welcome visitors, and enjoy showing people our biodiesel plant, our high tunnel greenhouses, our pastures, gardens, and composting facility. White Gates Farm, Hank and Heather Letarte, 2153 Cleveland Hill Road, Tamworth NH 03886. (603) 662-7538. Yankee Farmer's Market provides high quality, pasture-raised meats in a sustainable small farm setting. For more than twenty years, we have been involved in educating, producing and distributing buffalo meat. We offer a full line of New England all natural, hormone-free and anti-biotic free meats. Our wide variety of buffalo meat products—from burgers and steaks to jerky and sausages—do not contain growth hormones, stimulants, or antibiotics. Visit us where the buffalo roam, in Warner, NH. Enjoy shopping at our retail store on the farm, or online. We ship nationwide. We believe in raising our animals in natural open environments, providing them with the best quality feed and clean water. Bring the family to see the animals and pick up some healthy and delicious meats while you are here! In addition to selling Buffalo meat products to families, markets and restaurants all across the country, we also sell live buffalo to farms and support entrepreneurs in their own farms. We also offer a buy-back program for those interested in farming buffalo. Visit us to see the Innovative Heavy Use Area on the farm. Our project aims to demonstrate effective heavy use areas for bison that can be replicated in this growing industry throughout New Hampshire and the Northeast. Looking for help on a farm project, fencing installation or heavy use area? Contact us today for assistance with Project Management, Consulting and Installations. Promote healthy, all natural, locally raised meats. Promote sustainability in local agriculture through networking with other farms and increasing consumer demand for locally raised, all natural meats. Yankee Farmer's Market, Keira Farmer, 360 Route 103 East Warner, NH 03278. (603) 456-2833. Updates added to this page 4/15/19. Find a broken link, missing website, discontinued e-mail address, or disconnected phone number? 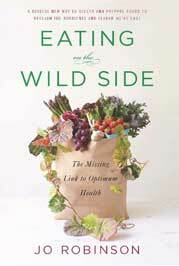 Please E-mail our Webmaster and help us keep Eatwild up-to-date!